Phil Rector grew up playing many sports and always found that he was the fastest player on the field or court, unfortunately a lack of coordination rendered him useless on a fast break and his best defense was getting called for a foul. Upon entering high school he was encouraged to join the cross country and track teams. At this time Phil found his love for running. Phil had moderate success in cross country, but really excelled on the track where he won conference and district championship's in the 800m run as well as many other medals as a member of relay teams. He qualified for the Pennsylvania State Championships as a senior where he finished 13th (12 made the final). His love for running took him to Slippery Rock University where he again found success as a member of the indoor & outdoor track teams setting new PRs each season and helping to win a conference team title as well as conference titles and school records in the 800m run and 4x800m relay as well as a trip to the national championships where he finished 10th (9 made the final.. notice a pattern). 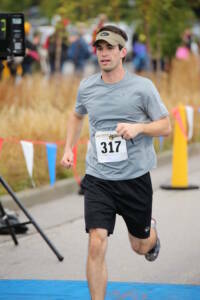 After college Phil moved up to the road racing scene achieving PRs in the 5k, 10k, and even the half marathon. 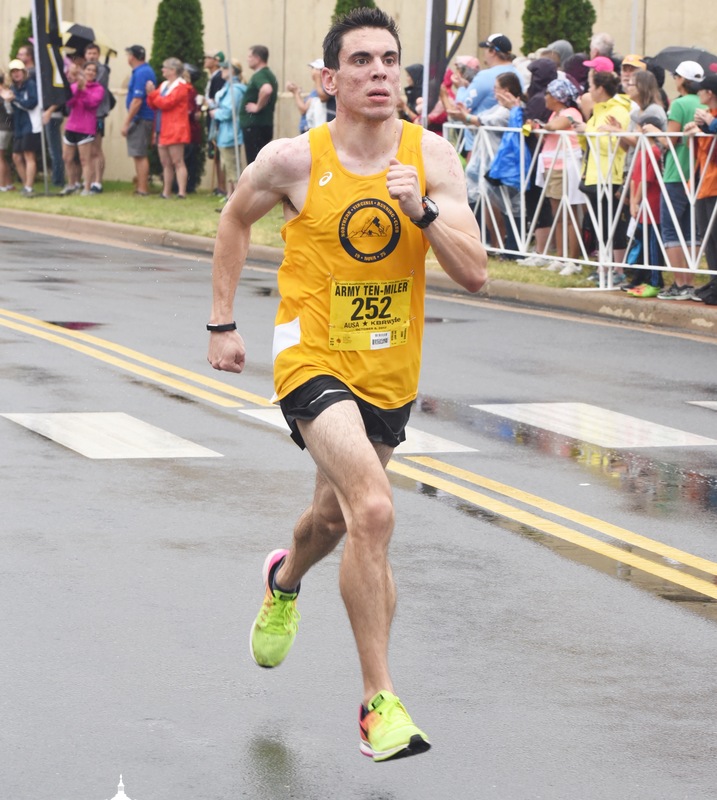 He moved to the DC area in late 2015 and joined NOVA in early 2016 where he has continued to improve at the "longer" distances and chase the PR's of his younger years. His biggest accomplishment since joining NOVA was finishing the 2016 Cherry Blossom 10 miler hand in hand with MEB with whom he is still best friends with to this day. Greg Swiatocha began his running career in 8th grade cross country when one of his classmates told him he was fast and should run track. Little did he know, cross-country was not the same as track . . . and he was not fast. After demonstrating his prowess in the middle school mile (10:30), he decided to continue his success in high school cross-country (5K). He went undefeated in 9th grade against the "saggin' wagon," eventually chipping his 5K down to 27:30. However, very hard work, consistency, perseverance (and perhaps stubbornness) are key to running success. Fast forward years later and Greg went on to run Division I Track and Cross-Country at Lafayette College. Following a few post-collegiate years spent running the New York track racing scene, where he achieved an all-time PR in the 800m, Greg moved to the DC area in 2013. He has continued his running career with NOVA, where he served as Membership Coordinator, President and now Vice -President. He hopes a few more all-time PRs are in the books for him and plans to focus on the 10-mile and above distances. Evan began running in junior year of high school as a way to stay in shape as a budding benchwarmer on the JV basketball team. After two moderately successful years on the trails and track, Evan took a hiatus from running during his undergrad and graduate years. Six years wiser and thirty pounds heavier, Evan decided his mid-20s were the time to get back in shape and see what his legs were really made of. 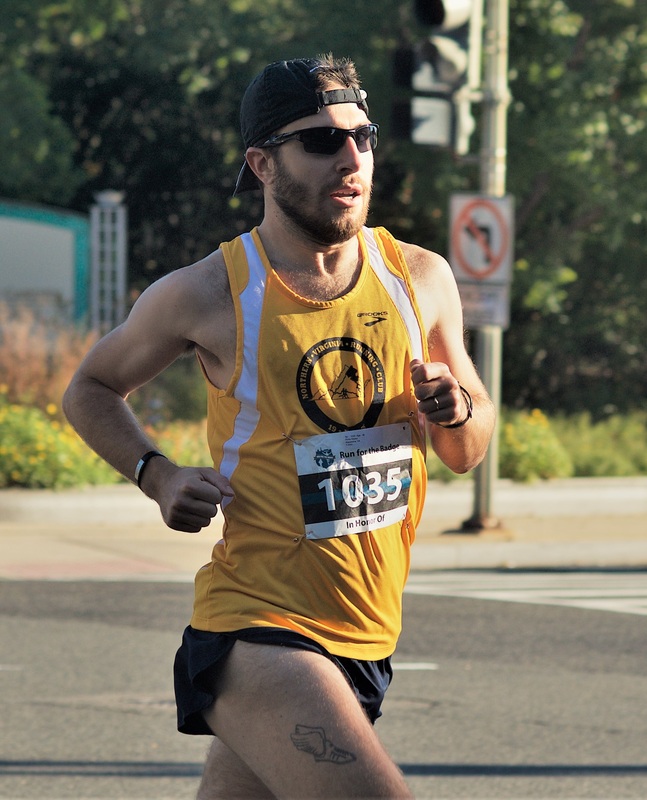 Evan found NOVA in 2016, and under the tutelage of Coach Jerry and the encouragement of fellow club members, he has set PRs across every major distance since joining the club. He looks forward to concentrating on the longer distances in 2018, specifically with the hopes of breaking 2:30 in the marathon by the end of the year. When he’s not running, Evan can be found reading up on the latest global trade issues, rooting for his beloved Chargers, or aspiring to adopt a mini goldendoodle or other fluffy dog. Erin Swiatocha joined NOVA Running Club in 2009 and the NOVA board in 2012, serving as Social Media Coordinator. She then took the reins from Justin Buenaflor and served as NOVA President from 2013-2016. Starting in 2017, she now serves as Membership Coordinator. 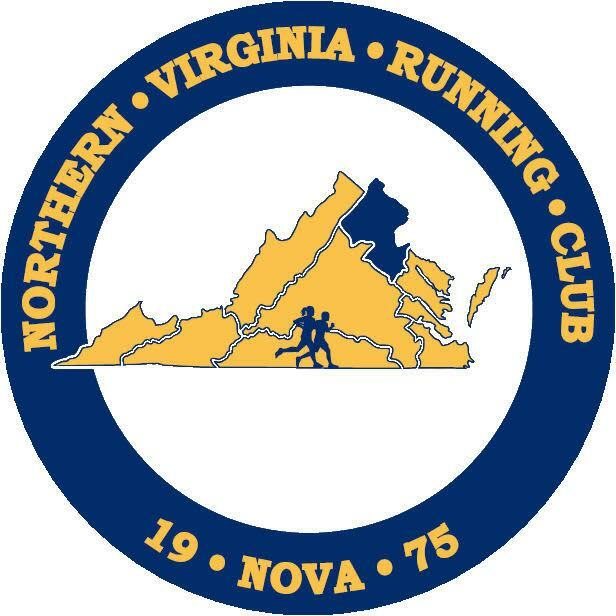 During her tenure as President, the club grew from a size of 27 active members to 130; membership now includes a wide range of runners, from top post-collegiate runners, elite Masters, recreational, family, and beginning runners, and is now frequently a top ranked winner in the open competition of local DC races. A multiple time Maryland State Champion while a track runner at Annapolis High School, Erin went on to compete in four years of varsity cross country and track at the College of William and Mary in Williamsburg VA. She transitioned to long distance running after college, completing three Boston Marathons from 2013-2015, with a personal best time of 3:08:24 in 2015. During that period, as part of a phase of “serial racing,” Erin completed 79 races in three years, including 30 in 2013 and 31 in 2014. She brought her half PR to 1:25:23 in 2015 and full marathon time to 3:08:01 in 2016. She has twice ranked in the Top Ten All RunWashington rankings, in 2014 and 2015. After taking time off in 2018 to give birth to her son Timothy (with husband/ NOVA Vice President Greg Swiatocha), Erin looks to make a return to road racing and establish some new post-baby (and perhaps all-time) PRs in 2019. 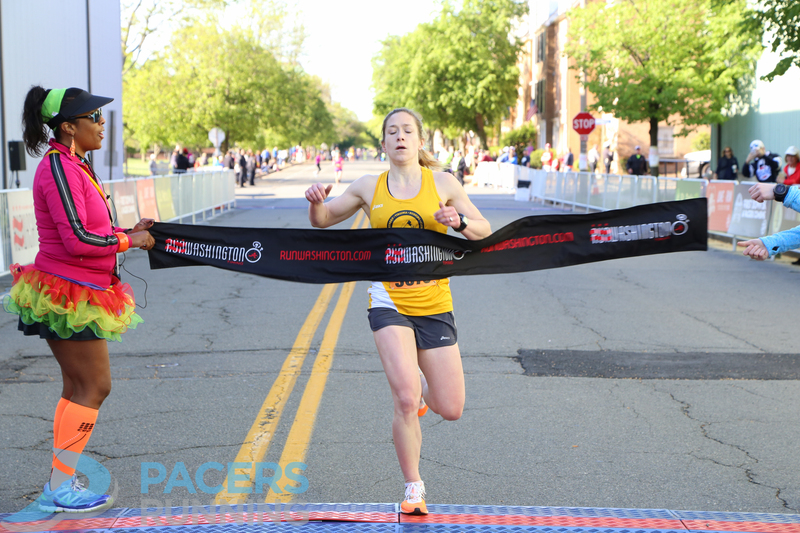 Erin is an RRCA certified running coach and currently coaches several NOVA athletes on an individual basis. 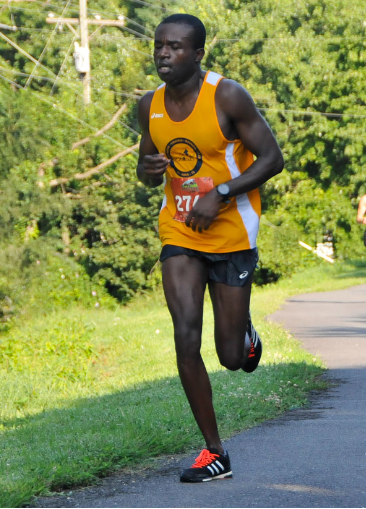 Nene was a high school sprinter and joined NOVA in 2014 in an effort to improve his 5k, 10 mile and half marathon race times. He ran his first marathon in 2016 and followed that with 4 more marathon efforts, including an indoor marathon in 2017. Nene is an avid racer, regularly completing 12 or more races per calendar year. 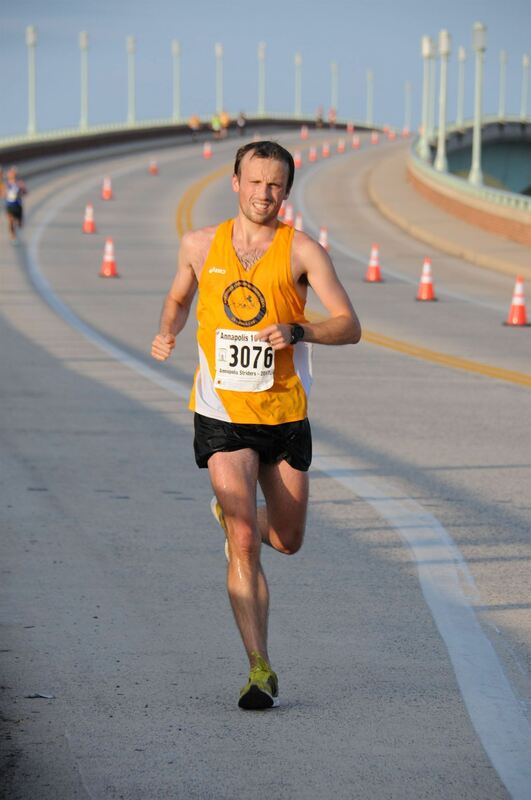 He enjoys racing every distance from 5k to marathon, but finds the 10 miler to be the most enjoyable. Now, as a masters age group runner, his goal is to continue improvement in all distances, and eventually qualify for the Boston Marathon. Michelle began her running career by debating with her high school coach whether she was going to become a sprinter or a distance runner. They settled on mid-distance with the “compromise” that she could run the 400 hurdles, but also had to run cross-country. She was part of the 1998 NJ Meet of Champions winning cross country team, went on to earn All-American status in the 4x800 in 2000, and was named Wendy’s NJ High School Heisman winner in 2001. Michelle planned to run at Virginia Tech, but burn-out and injuries first semester caused her to walk away from the sport. She married her college boyfriend, Benjy, in 2010 and from 2013-2018 they had five kids in five years! Michelle started signing up for half marathons and 10-milers as a way to get back in shape between pregnancies. Michelle became motivated to run faster, after she was restricted from exercise for an entire year during/after her third pregnancy. She joined NOVA in August 2017, ready to take on more serious training and racing goals. In one season, Michelle managed to drop her half-marathon time by 16 minutes and PR’d in the 5k twice before becoming pregnant with twins. Now that she’s finished having babies, she’s ready to refocus on her running goals! In 2019 she hopes to improve her 5k/half marathon times, and might be persuaded to run her first ever marathon! Indrajit Das came to the United States as a grad student from India and started running about 6-7 years ago by joining NOVA Running Club. 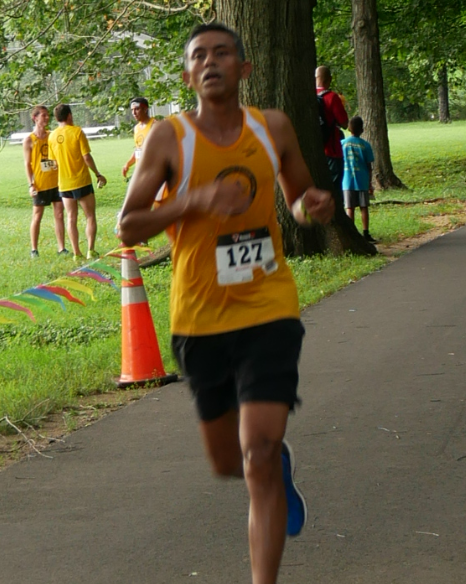 During his time with the club, Das has learned a lot from the other NOVA members, found some great friends in the process, while steadily improving his race times. Unlike a lot of the NOVA team, he ran his first 5k at the adolescent age of 24 (21:55). Somewhere in that time-frame, he started seeking out more running-only races. 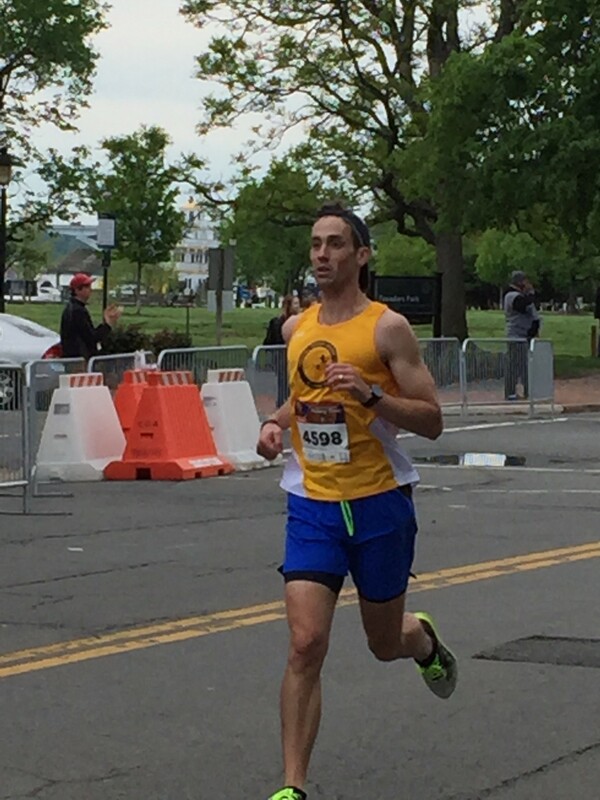 His racing career was put on a self-imposed hold in 2012 after a disastrous finish of the DC Rock and Roll marathon to focus solely on completing his dissertation. Even the most miserable workout is better than sitting behind a computer, typing a dissertation after you have already put in a full day’s work – so he begrudgingly created the barrier. After completing his dissertation and joining NOVA in mid-2016, he thought he would never get back to his previous level of fitness. However, the NOVA support, hard work, dedication, and coaching paid off! The following year was by far his best running year yet, capping the season off with a 1:22:02 at the Richmond half and 3:00:41 at the California International Marathon. Eric Naglich’s start in running began in 2013 when he was coerced into running a half marathon by his girlfriend at the end of grad school. It was a fun experience that he thought would be a one-time thing. Then he found out that one of his professors beat him by approximately one minute, and that couldn’t stand. A few months after the race, Eric moved to the DC area for a job and joined NOVA to get faster and make friends in a new town. Both worked out very well, and he now enjoys running more than he ever thought he would. He has completed more than 25 races since joining NOVA. His 2019 goal is to run a half marathon 13.1 minutes faster than his first race. Lindsey Swansen started running in 2014. She ran her first half marathon and got hooked on running. She ran her first marathon in fall 2015 and fell in love with the marathon distance. 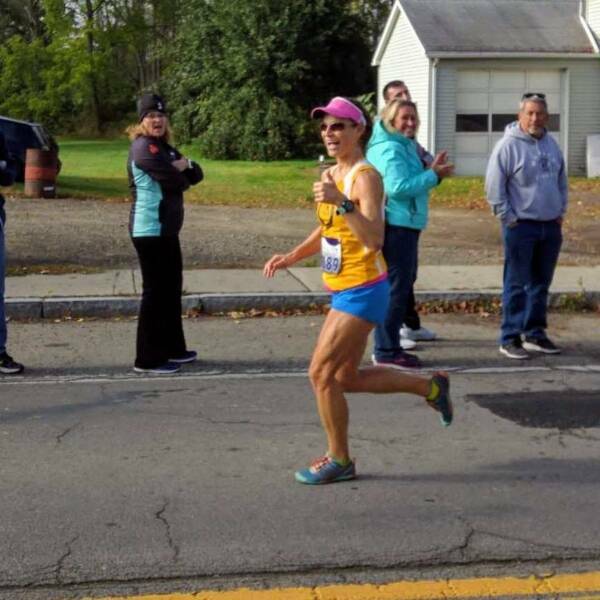 Lindsey joined NOVA in 2017 in an effort to improve on her marathon PR. 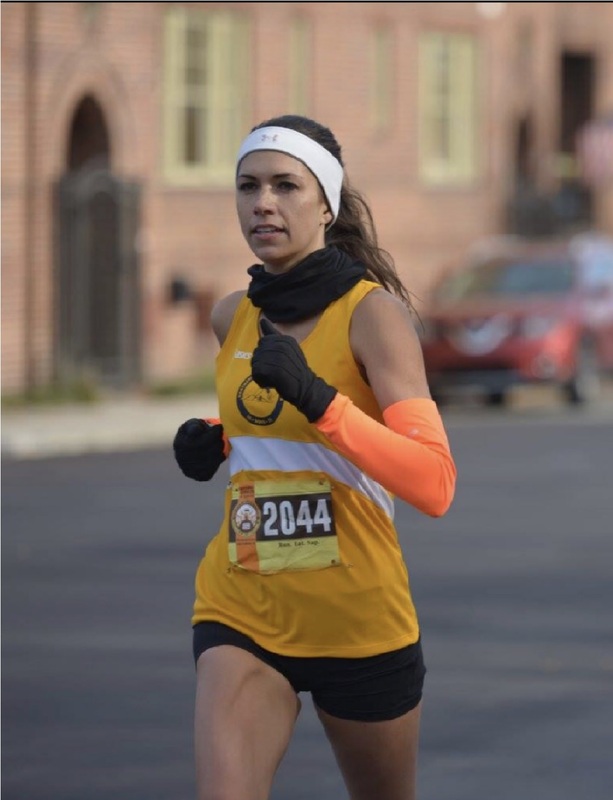 She PRed not once, but twice, first beating her previous PR by 22 minutes at the Wineglass Marathon, running 3:25 and then following it up with a breakthrough 3:18 at Richmond Marathon only a few weeks later. In one year, through lots of hard work and a strong spirit, Lindsey set personal records at every race distance from 5k to Marathon. Lindsey is passionate about yoga and meditation, cooking/eating/baking a whole foods plant based diet, and doing home renovation projects. In her spare time, she enjoys boating, hiking in the mountains, and laying in the sun on the beach.